The municipality of Yayladere (2,019 inhabitants in 2012, 1,249 in the village of Yayladere; 42,974 ha) is located 130 km north-west of Bingöl. 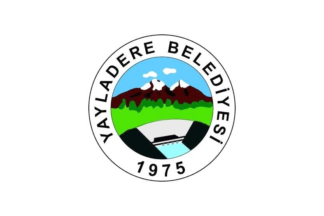 The flag of Yayladere (photo, photo) is white with the municipality's emblem in the middle. "Belediyesi" means "Municipality". The emblem features the Özlüce Dam (height, 144 m), built 10 km south of Yayladere on river Peri.